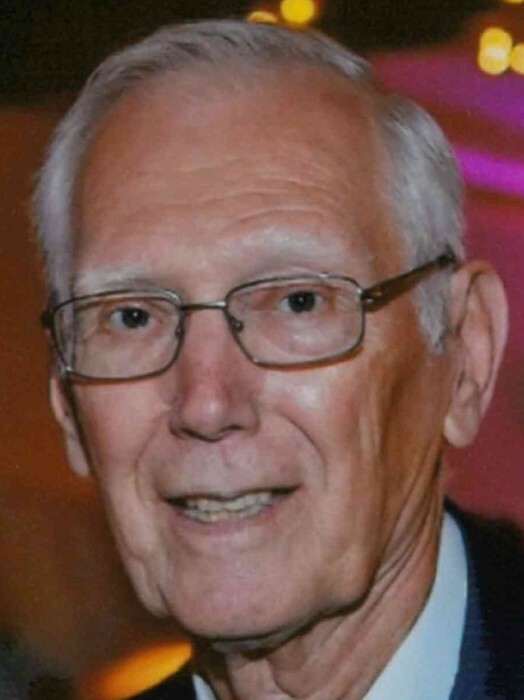 Richard L. “Rick” Frazee, age 83, Albany, died Tuesday January 29, 2019 at IU Health Ball Memorial Hospital following an illness. Born in Muncie on August 25, 1935, he was a graduate of Muncie Central High School (1953), Ball State Teachers College, and Ball State University. He taught 6th grade within the Jay School Corporation, first at Sutton School and then Westlawn Elementary School in Dunkirk for thirty-eight years before retiring. He served in the U.S. Air Force from 1955-1958 and was a member of Albany United Methodist Church where he served as Lay Pastor. He was an active member of Albany Lions Club where he took several eye glass mission trips with his wife, Wilma, and emceed for the Albany Halloween Parade. Rick was also a Past Master of Eaton Lodge No. 606, formerly of Eaton, and a current member of Anthony Lodge No. 171, F. & A.M., Albany. Other memberships include the Murat Shrine Club, Indianapolis, and Scottish Rite Valley of Ft. Wayne. Rick served many years on the Delaware County Fair Board and during his teaching career was active in the Indiana State Teachers Association. He also served on the Delaware Community School Board from 1978-1982. Survivors include his wife of 60 years, Wilma (Martin) Frazee, and their sons: Chris (Barb) Frazee, Clarks Hill, and Jeff (Marni) Frazee, Leesburg, VA; a brother: William (LuAnn) Frazee, New Smyrna Beach, FL; four grandchildren: Ben (Allison) Frazee, Elizabeth (Tanner) Wetli, Keffen Frazee, and Kira Frazee; a great-granddaughter: Callie Mae Frazee, and several nieces & nephews including Michelle (Tom) DeWitt, Mike (Tina) Deane, Lora Shaneyfelt, Tim (Tonia) Deane, Mary (Tina) Deane, Christine (Scott) Davis, and Cathy Bergeron. He is preceded in death by his parents: Kermit & Katherine (Silvers) Frazee and sister: Judith (Frazee) Deane. Services will be 11 a.m. Saturday, February 2, 2019 at Meacham Funeral Service. Burial will follow at Union Cemetery, Eaton, with military rites by Veterans of Delaware County Honor Guard. Visiting hours will be held Friday from 4-7 p.m. at the funeral home with Masonic rites at 7 p.m.
Memorials may be sent to Albany United Methodist Church or Shriners Hospitals for Children.